I have to admit I am not a big fan of experimental technology – when reviewing cameras I do not really care much about all the geekish details. But in this case, I was really surprised – during my tests of new Canon 5D mark iv (you can see the review here, in Czech only) I decided to try heavily advertised raw microadjustments, eg saving photos in a special type of raw file – dual pixel raw and playing with it a bit. My expectations were really low, since I was not able to discover any reasonably looking examples of it on web. But it worked and indeed it is quite interesting – still too early to say if dual pixels can have some real-life impact, but as a “toy”, it is quite impressive. Just look at the animated gif – you can see two versions of the same picture developed from one dual pixel raw. The difference is quite visible, isn’t it? The animated gif shows two options a photographer can get from one dual pixel Raw in Bokeh Ship adjustment. Difference is quite visible. 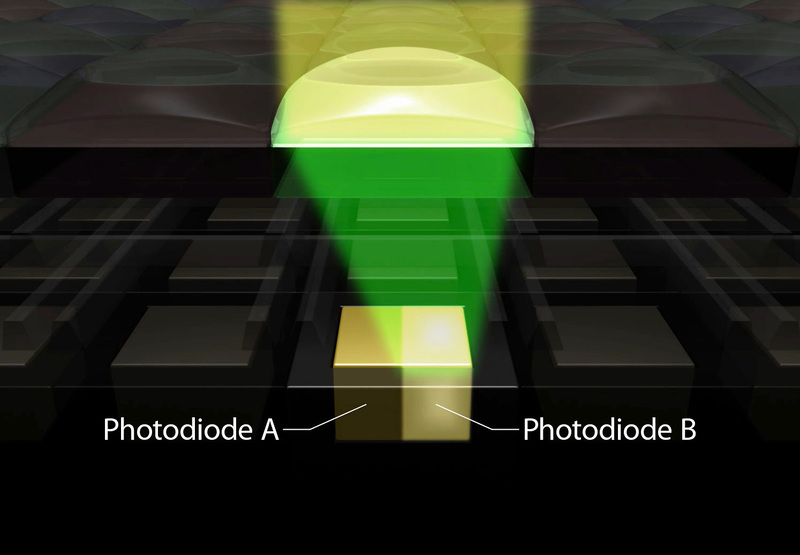 Dual pixel sensor is by no means a new concept – Canon used it in Canon 70D back in 2013, similar system is used by Samsung, for instance, in Samsung Galaxy S7. And what is it good for? Mainly for very precise autofocusing. Each pixel consists of two parts each of which “sees” slightly different picture. It is quite similar to human eye – people are able to view in 3D thanks to this very simple principle of seeing slightly different picture with both eyes. This is used in autofocusing systems that are able to estimate distance by comparing two slightly different “views”. Now Canon 5D mark iv gives photographers chance not only to use these signals for focusing, but also possibility to save both pictures separately in one super-raw file (dual pixel raw). And not only saving them but also using them for a new generation of photo adjustments. As you can see from the photos on this page, the changes can in fact be quite significant. Then just go to Tools and activate Start Dual Pixel Raw Optimizer. But does it work? I was searching a lot of specialised forums and general view of many Canon fans that, in fact, the effect is very hard to reproduce. That’s certainly true, I was really struggling but after several failures I made it! Image microadjustment on a croped photo of my daughter… Yes, the shift in focused level is clearly visible. But can this feature be really handy in real-life situations? Frankly, I sort of doubt it… The difference between two levels is very small and would probably disappear after even slight sharpening in Photoshop. You can see it on the photo of my wife with significantly changing background. In fact, I somehow cannot believe how the very tiny difference in the view of two small diodes can make so big impact on the overall look of the photo. Bokeh clearly shifts between two versions of same picture developed from dual pixel raw. Yes, it works – and I can really see this tool jumping into real world. It could just be very handy for portrait photographers to be able, for instance, to slightly adjust the shape of what is behind the photographed person. And maybe it will spread into other branches of photography, but since there are some usage limits (Canon claims best results are achieved with zoom or prime lenses with “long” reach) portraits are likely to be the most probable field.